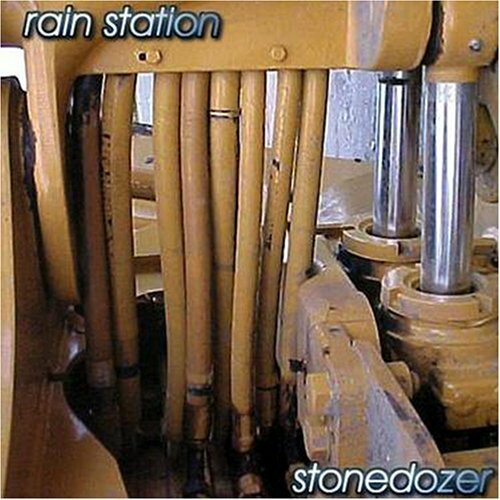 Someone in England is selling Rain Station's "Stonedozer" CD for $38.94! Holy Cow! That's a lot of dough. I guess we're HUGE in England. Check it out here. Or you can purchase it from CDON.com (here) for € 22.95 from Sweden. WE'RE HUGE in SWEDEN! 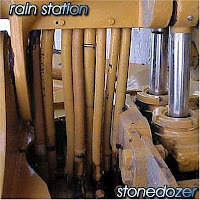 If you're looking for more affordable copies for Rain Station's "Stonedozer" CD you can find them on eBay (here). Not sure how someone in Wind Gap, Pennsylvania ended up with TWO copies of this disc. The Lyric Archive is looking for lyrics for two of our CDs - "Criminal Goat" and "Stonedozer" here. If anyone cares to enter them...I'm sure they would greatly appreciate it! The Rain Station tune "Day of the Dead" from "DARK RIDE" is available for download here from abMP3.com and here from mp3gangster.com. I approved to have this tune put onto a compilation CD a while back...I guess downloads never (or rarely) die. eMusic.com has downloads (for a fee) of "Stonedozer" and "DARK RIDE" here. They play little clips of the discs to entice you into purchasing the discs (how can you resist, right?). The "Stonedozer" clips are a total mystery to me. I have no idea who picked the cue in and cue out times. I did the ones for "DARK RIDE" so at least they make sense (to me). It would be easier to just buy the CDs from me (if you want 'em). swapacd.com has us listed here, but our discs are unavailable there, but at least we're listed, right? 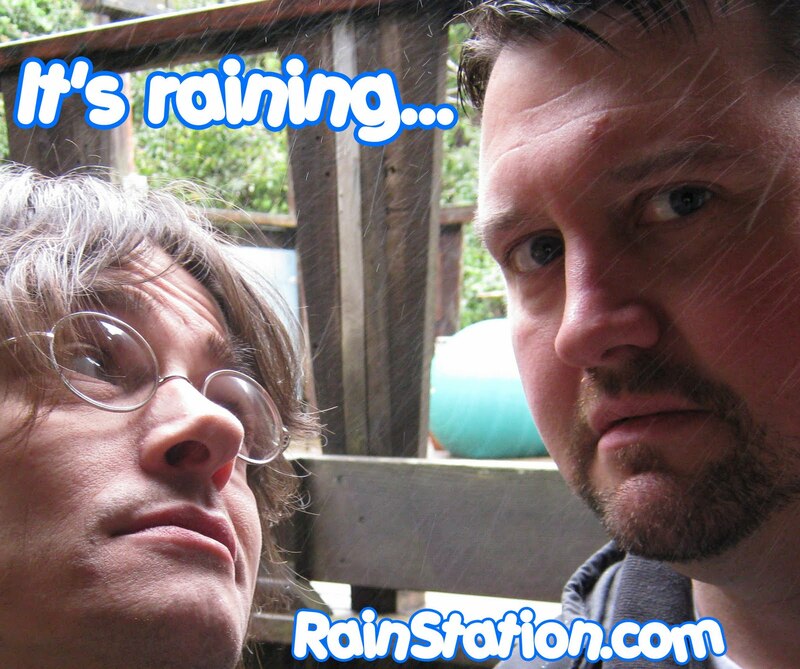 How about getting your very own Rain Station ring tone? Well, evidently someone has created one to "Black Lagoon" from "DARK RIDE" here. So I searched their site and evidently you can purchase a bunch of Rain Station "stuff" on it...here. It is amazing how music travels the Internet. Sometimes I want to purchase things just to see if the money ends up coming back to Nobody Records or not in most cases (I can assure you). 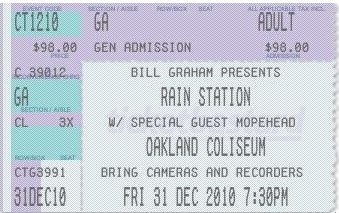 I was awfully stoked when I found that I could purchase Rain Station tickets at Ticketmaster (here) - if only they had a show coming up I could attend...sigh...(I hear they are GREAT live). "To Heaven" by Rain Station (taken from "Stonedozer") shows up here and it would appear that "Stonedozer" is on Yahoo in all of its glory (here). Buy us on Amazon.com here! We got some nice reviews there...like this one..."Rain Station does it again! This CD is a must have for those who love good indie music done without the major label influence. Expect a great ride from start to finish. Rain Station is one of the best unsigned acts I have ever run across. Also check out their other titles. I especially like their Dark Ride Halloween CD" and this one..."Rain Station has had a lot of success on line, placing within the top 10 of alternative music downloaded. The song "Nothing To Prove" was at #4 for two weeks, slipping down to #6. 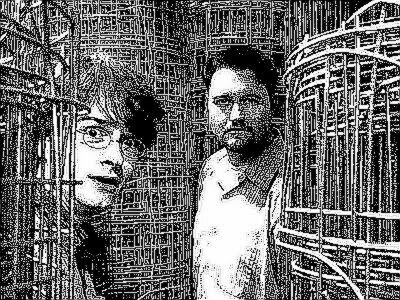 They are a great Bay Area Indie band that is showing how one can get music out without a major label. Visit their fun web site. Their latest release Stonedozer has an incredible flow throughout the CD which will take you on a very pleasant trip. Support Indie Music." How nice! Rain Station is also on iLike (here) and we have listeners there. Who knew? I sure didn't! We show up on last.fm here and they've got some of our older tracks as well as our newest tracks. I am amazed at how our music floats around out there (did I already say that?). I also found us on tradebit (here). It looks like if a CD is able to be downloaded it can be found most anywhere. And of course for Rain Station I found...well...Rain Stations. Well, this has been interesting (for me at least). As you all know, Rain Station's CDs can be heard at Bandcamp (here).